Since morning I wanted to cook something special for dinner but I wanted to prepare something easy and tasty too. I asked my husband and he suggested to prepare some CHICKEN KABAB. I made my mind and prepared some SEEKH KABAB. 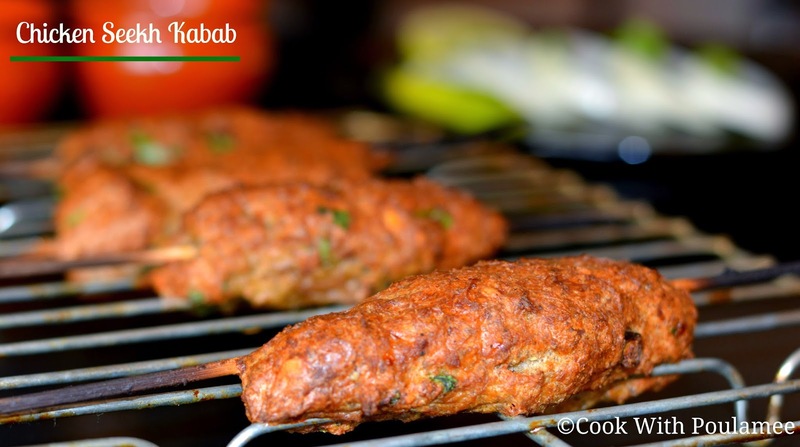 Kabab’s are specially from IRAN but now it’s a famous dish in all over the world. There are so many different types of kabab but among all SEEKH KABAB is very old and authentic one. 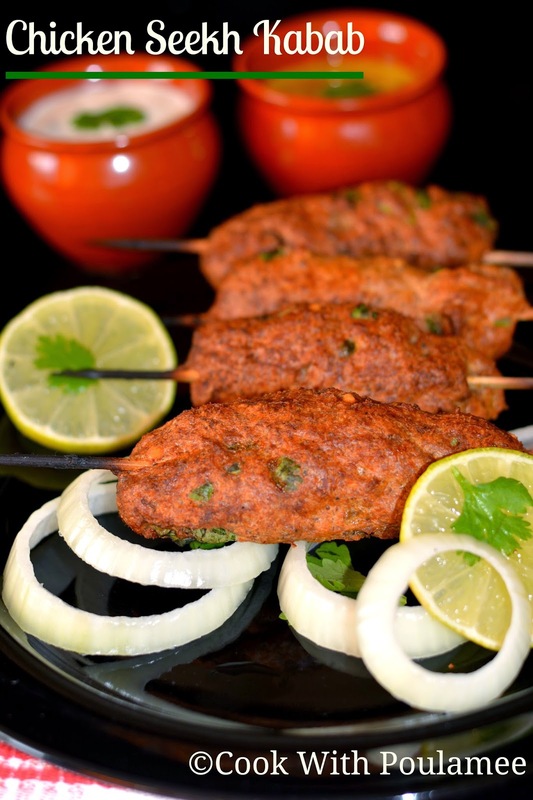 The specialty of the kabab is you need some minced chicken that makes SEEKH KABAB different from any other kabab. With some very simple ingredients you can easily make this at home. 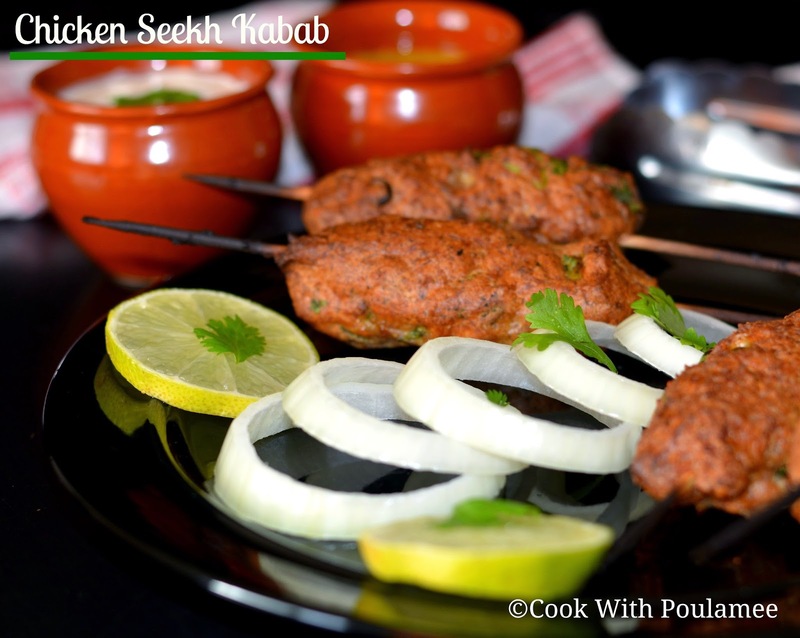 We had a awesome dinner with this SEEKH KABAB hope this recipe will help you to make some nice kabab’s. 6.Two table spoon of bread crumbs. 7.One table spoon corn flour. 10.Chopped fresh coriander leaves: a handful. 11.One table spoon lime juice. 14.Half tea spoon red chili powder. Half tea spoon chaat masala. Pre heat the oven in 475 F.
Make some fine powder with the clove, cardamom, pepper corn and chana dal. Now in a big bowl add the minced chicken, onion paste, masala and chana dal powder, red chili powder, chaat masala, salt, lime juice, mix well and keep it in refrigerator for 30 mints. After 30 mints take out the bowl from the fridge now add the beaten egg, bread crumbs, corn flour, chopped green chilies, chopped coriander leaves, one table spoon oil and mix well. 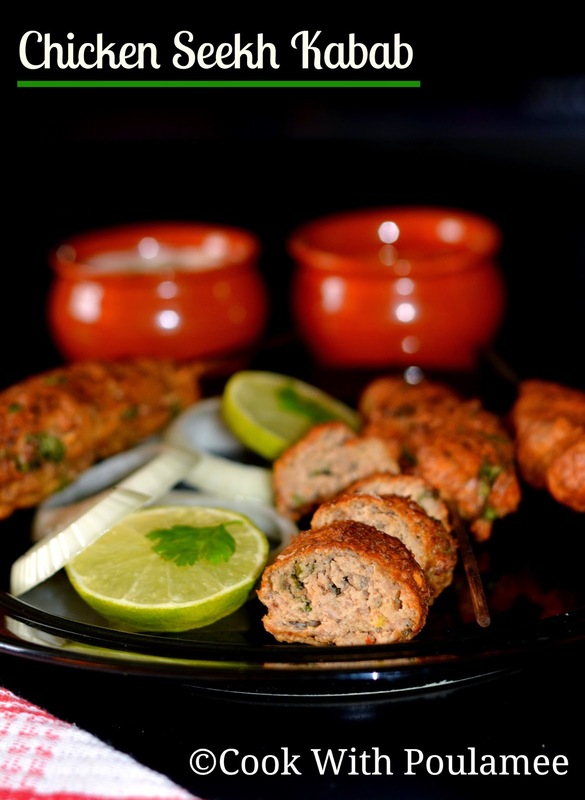 Now make some equal shape balls with the mixture and now pat the mixture with hands onto skewers and shape like kababs. (If you using bamboo skewer please soak them into water for 10 mints). Now place the skewers in the grill rack and grill it for 15 to 18 mints or till it done. 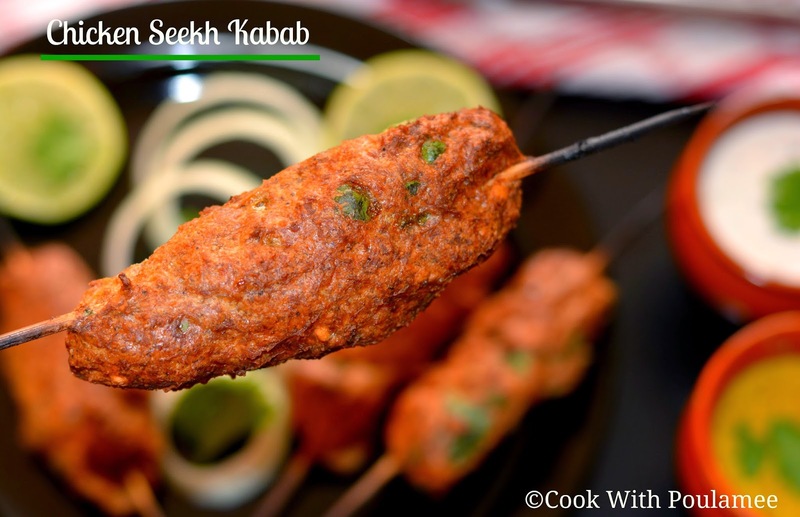 Now take out the rack from the oven, the juicy tasty SEEKH KABAB is ready, sprinkle some lime juice and chaat masala on top and serve hot.